Cast your eyes toward the southern reaches of Austria and you’ll come across the state of Carinthia. 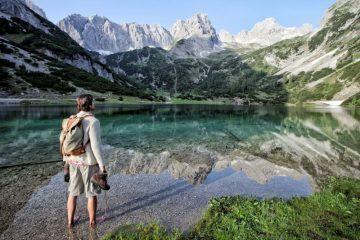 This beautiful Alpine region is home to over 200 lakes and dozens upon dozens of mountains, so in the summer it’s a haven for hiking. 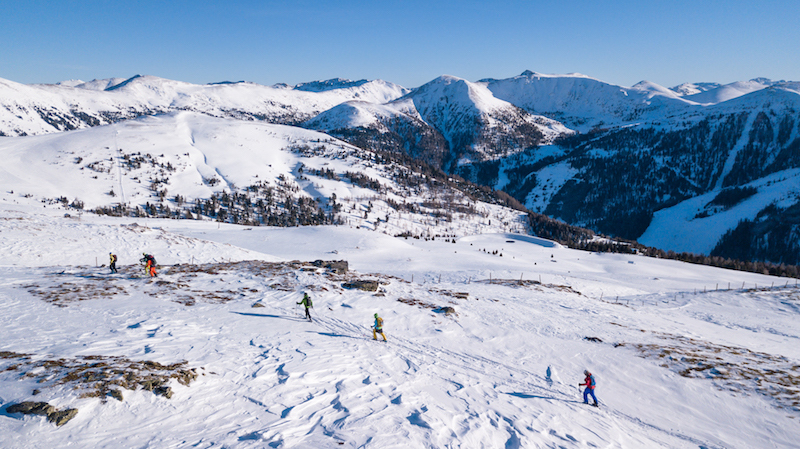 In winter, however, things get particularly interesting, with pristine slopes and great snow conditions creating the perfect destination for skiing adventures. 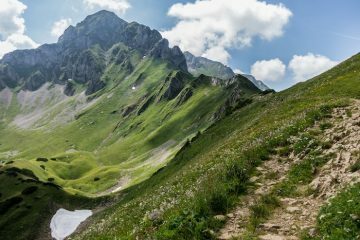 If you’re looking for something new and exciting, here’s an incredible multi-day route through one of the Alps’ most beautiful regions: the Nockberge Trail. Completely new for 2018, this 42-mile route takes you through the heart of the Nockberge mountains and gives you the chance to sample some of the best terrain Carinthia has to offer. In summer, the route can be hiked, delivering fine views of the surrounding summits, ridges and valleys under the warmth of the sun. With the snows of winter, it turns into a different proposition altogether. Gone are the well trodden trails, hidden by layers of the white stuff. Rather than a scene of contrasting colours and criss-crossing trails, you’ll instead find yourself in a winter wonderland that is almost impossible to beat. These incredible views are sure to have even the most well-travelled adventurers’ jaws dropping to the floor. 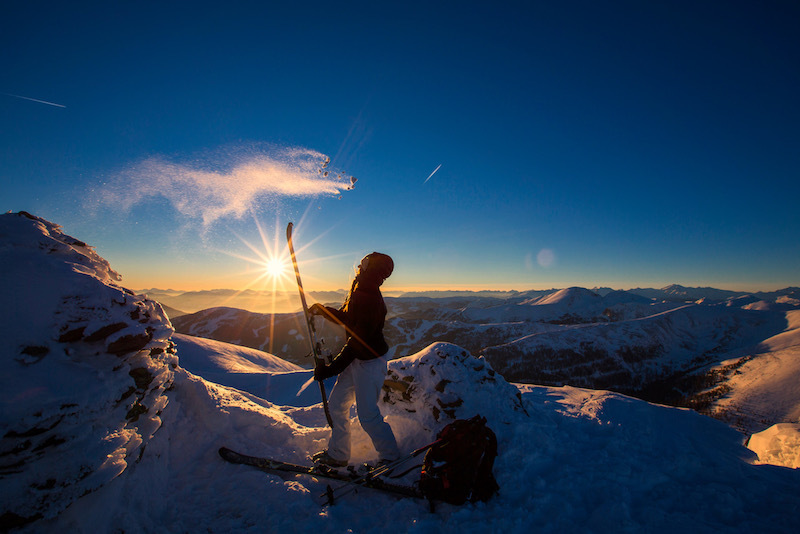 With a blanket of snow covering everything in sight and a crisp winter chill in the air, there is only one way to complete the Nockberge Trail in these colder months – on a ski tour. 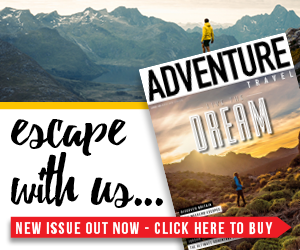 This gives you the chance to make good headway on ascents, while also allowing you to enjoy the gentle descents with a smile on your face and the wind brushing past your cheeks. As with all of the days, stage one starts with a chairlift ride to a place called the Aineck at an elevation of 2,220m, saving you roughly 600m of elevation gain. In fact, the first stage is very much about easing you into the tour. As you step off the chairlift you’ll be able to enjoy stunning 360-degree views of the Nockberge mountain range, and even further afield to the Julian Alps of Italy and Slovenia. Slowly but surely you will make your way along a gentle ridge before reaching the summit of Teuerlnock (2,145m). From here you’ll enjoy the first ski run of the tour, passing through sparse larch forests as you head down the peaceful slopes into the valley below. The rest of the day will see you rise and fall with the lay of the land, ticking off snowy summits, traversing beautiful ridges and passing by pristine forests and frozen lakes. Eventually, after roughly six hours on the trail, you’ll reach Innerkrems, which will be your home for the night. The following day starts much in the same way as the first, with a chairlift taking you higher into the mountains. In the words of the founders and guides, this is the crowning stage of the Nockberge Trail. After making your way down the Saueregg piste to the Grünleitenscharte (2,060m), the train takes you south-east through a glorious world of treeless alpine slopes. During this part of the tour you will reach the Königstuhl (2,336m), the highest point of the entire trail. At its summit, which marks the border triangle between the Austrian states of Salzburg, Styria and Carinthia, far-reaching 360-degree views stretch for as far as the eye can see. 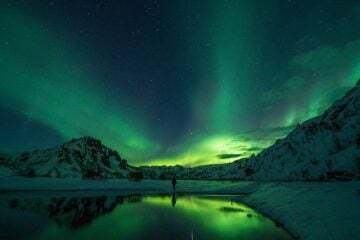 Over the following hours, you’ll once again take in several summits and valleys, skiing through beautiful forests and carving your way down serene slopes. Before long, you’ll make your way into the pistes of the Turracher Höhe ski resort and descend to your overnight stop on the edge of the frozen Turracher Lake. The morning of day three brings with it a sweet surprise, with heated seats providing a comfortable ride into the mountains. Arriving toasty and ready for a day of action, you’ll oblige the call of the wild and rejoin the trail. Throughout the day the ridges, peaks and valley of the Nockberge Mountains are your playground, as you peacefully progress along the route. Several peaks over 2,000m lie in wait, including Steinhöhe (2,200m), Steinnock (2,197m) and Hundsfeldscharte (2,100m). All offer the perfect vantage point to soak up the pearly white slopes and ridges that drop off in every direction, beckoning you to explore. Happy to oblige, you’ll follow the Nockberge Trail further along its route, slowly edging away from the tranquility of the Nockberge Biosphere Reserve toward the edge of the bustling family ski area of Falkert. As ever, the final day comes around way too quickly and as you take the ski lift up to Falkertspitze (2,306m) you’ll be wishing you could do the trail all over again. While that may not be on the cards, you will at least be able to enjoy one final epic journey. At the summit the horizon is dominated by snow-capped mountains and the photo opportunities are boundless, but the train is calling and after snapping away for a while it’s time to move on. Stage four sees you descend via several huts, a couple of which serve hot food and drinks to refuel you. From Falkerthaus, the final hut, you’ll be faced with the beginning of the final big ascent on the trail that leads to the summit of Mallnock (2,228m), after which you’ll then be rewarded with a fantastic long ski-run all the way down to the end of the Nockberge Trail at Bad Kleinkirchheim. Once there, all that’s left to do is enjoy some celebratory drinks and reflect on four truly incredible days of pristine snow, beautiful mountains and remarkable skiing. 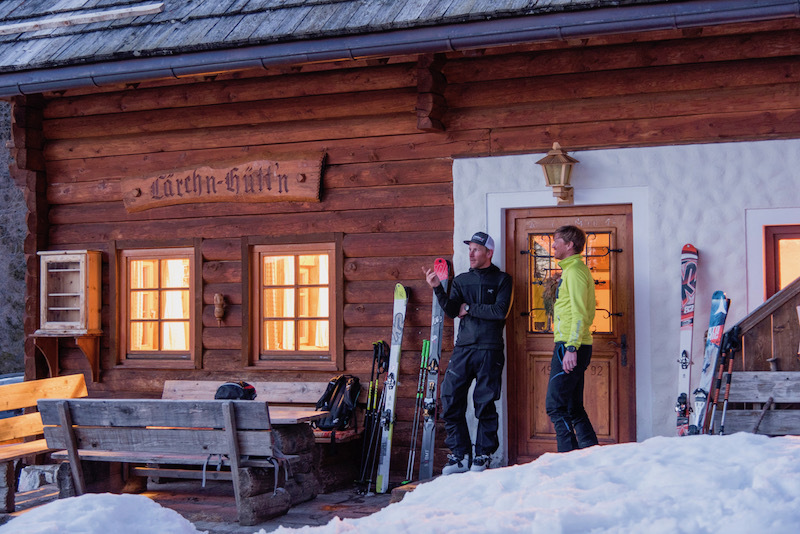 Carinthia’s winter season starts in mid-December and ends in mid-March, giving travellers plenty of options when it comes to choosing the best dates for them. Peak times such as Christmas holidays and the February half term should be booked well in advance. 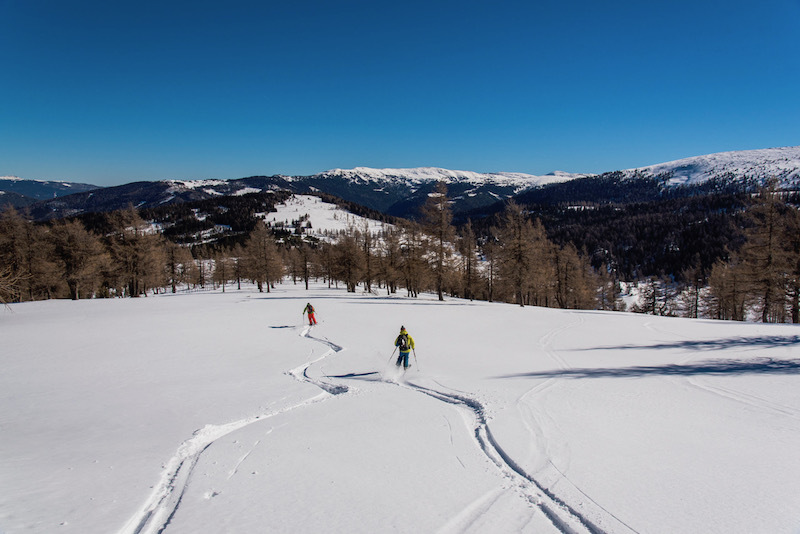 If ski touring isn’t necessarily your cup of tea, you can also enjoy the stunning surroundings of the Nockberge Mountains in the summer, hiking the four stages and ticking off beautiful summits along the way. There are direct flights between London Gatwick and Klagenfurt every Saturday and Wednesday from 15 December to 23 March. Return tickets can be had for as little as £35 if booked well in advance while, at the time of writing, the most expensive fare was roughly £80. Flights take roughly two hours, and can be booked at www.easyjet.com. From Klagenfurt, you can take a shuttle to the start of the trail, which takes roughly an hour and can be organised when booking the tour here. 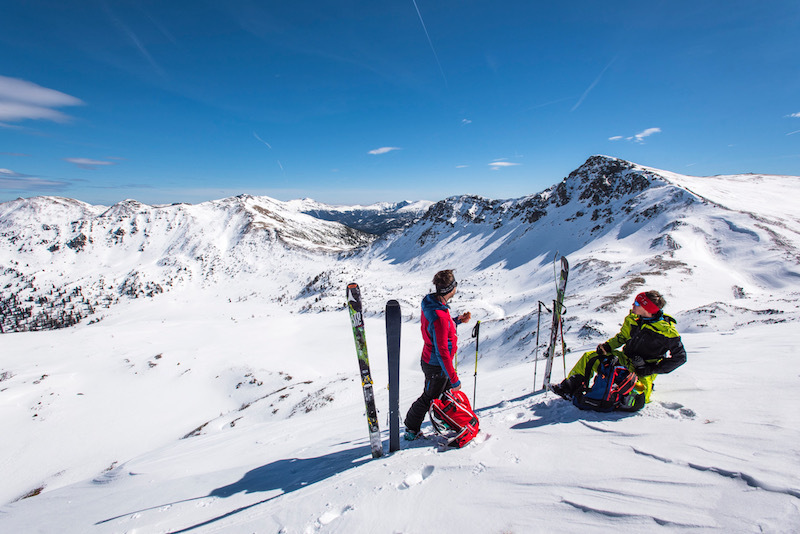 Unless you have lots of ski touring experience behind you, it is best to book the Nockberge Trail tour with a guide, who will have excellent knowledge of the territory and avalanche risk areas. 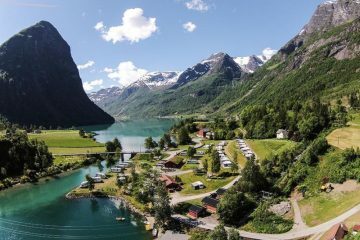 A package including all four stages fully guided, four hotel stays, luggage transfers and a return transfer will set you back roughly £820. For more information on the trail and to book your trip, visit the trail’s official website. 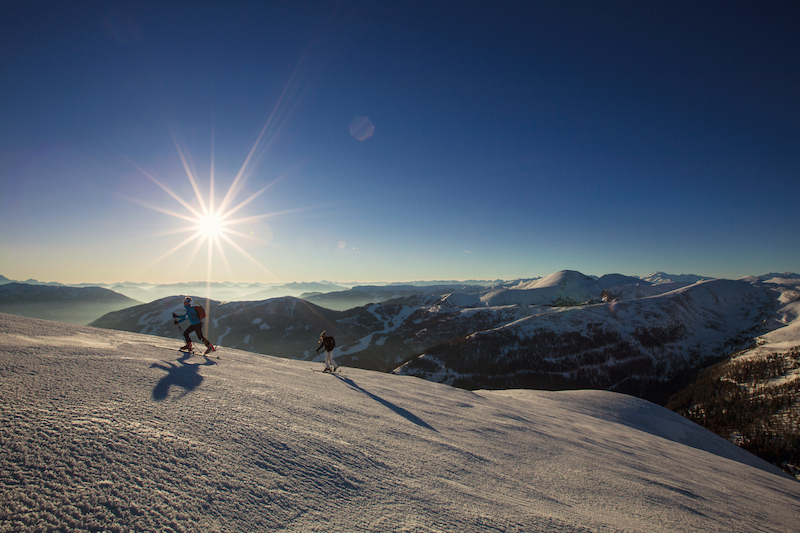 In winter, you’ll need to bring ski touring kit including base layers (merino wool comes highly recommended), salopettes, a waterproof outer shell, mid layers, a daysack, helmet, insulated jacket, head torch, water bottles, gloves, warm headwear, sunglasses that provide good coverage, sun cream and lip balm. 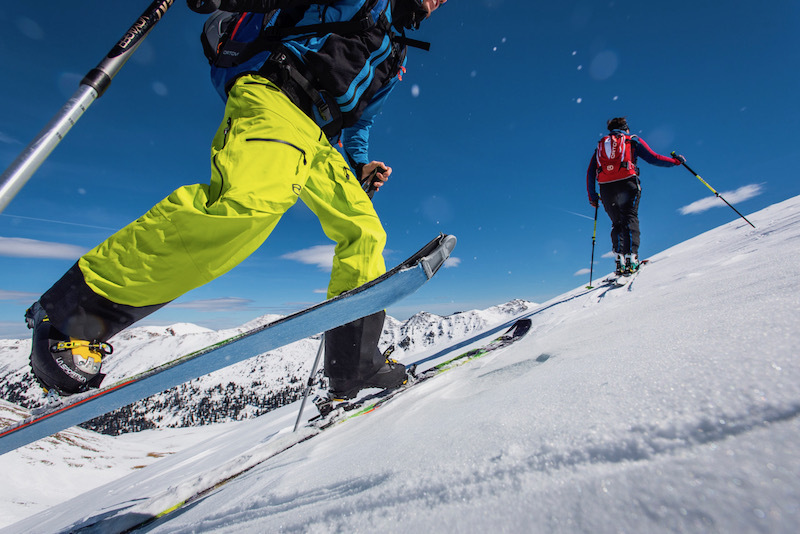 You’ll also need ski and avalanche equipment, though much of this skiing specific kit is available to rent. Each stage of the Nockberge Trail takes from five to six hours on average, with between 700-1,000m of elevation gain per day. 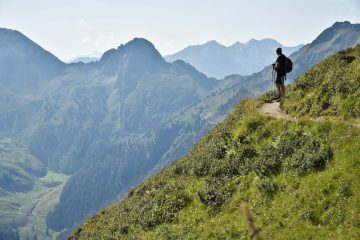 If you’re used to hiking or ski touring for several days on the trot, you should be fine, but taking up some cardio training in the months preceding your visit wouldn’t hurt either. 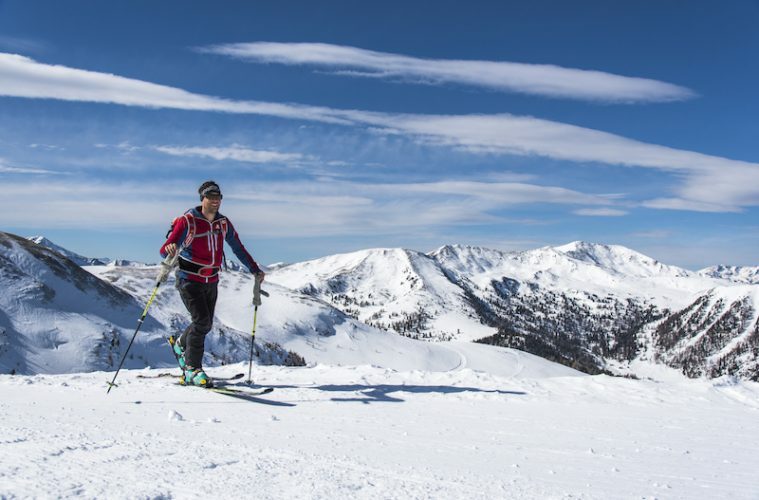 The Nockberge Trail has been developed with leisure tour skiers in mind, and as such each stage will finish at a hotel, where skiers can enjoy the evening in comfort with excellent meals and wellness facilities. If you book a guided tour on the trail, your hotels will be included.